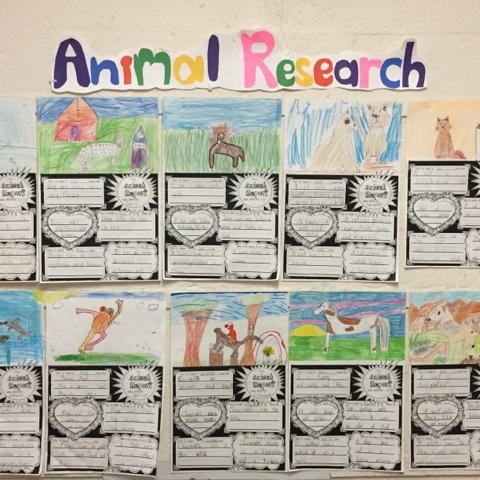 We have an outstanding volunteer in our classroom who made our animal research project a huge success. 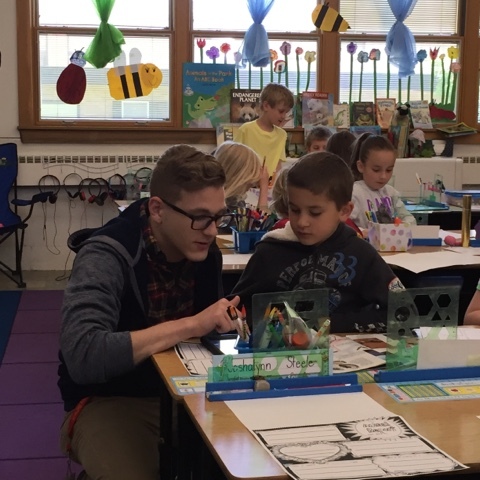 Fortunately for my students, our volunteer, who just finished his second year at The Ohio State University, was looking for opportunities to help-out in our school district and he landed in my classroom. 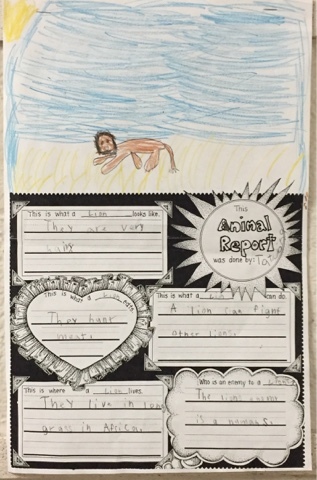 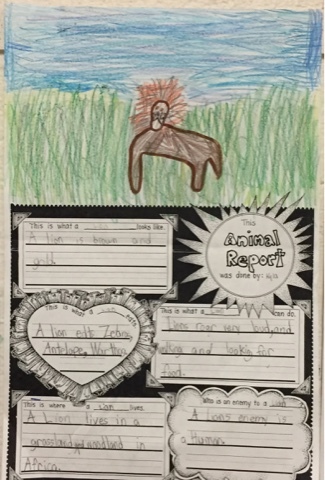 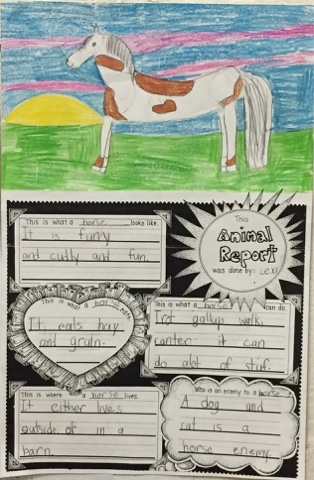 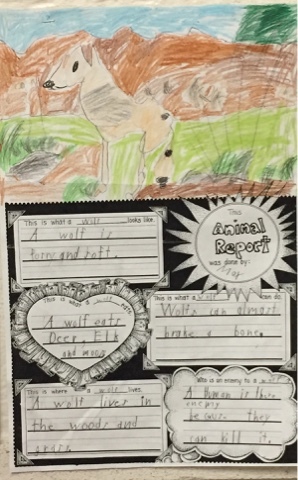 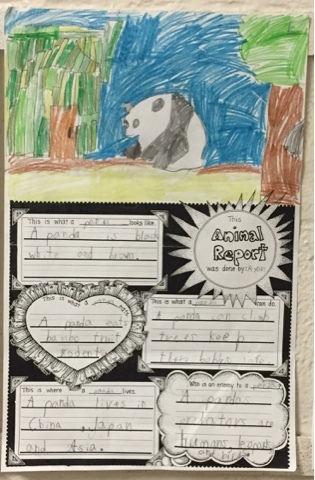 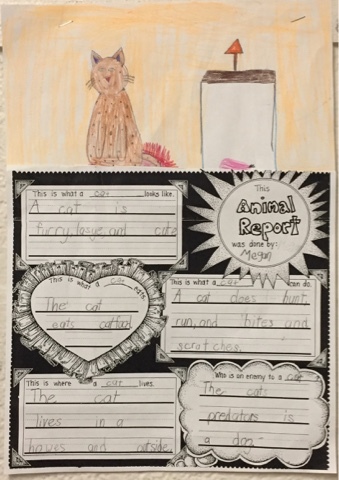 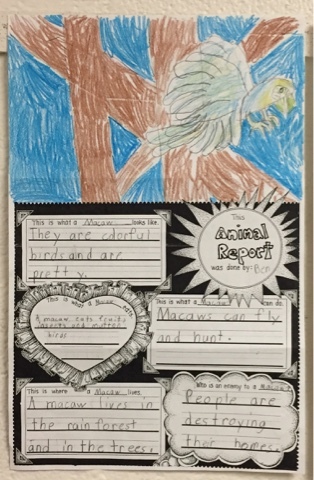 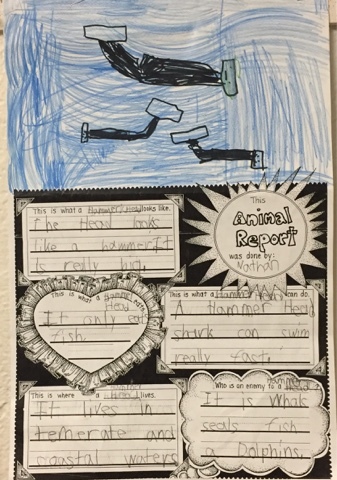 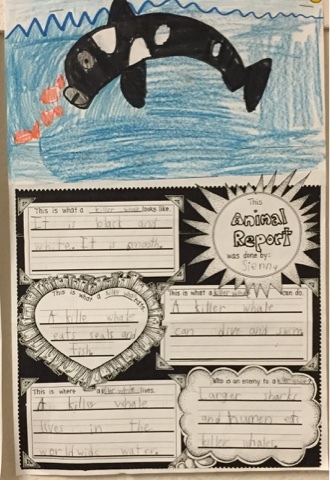 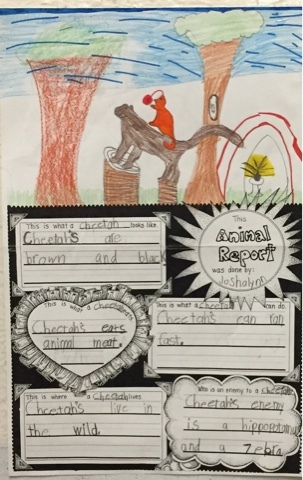 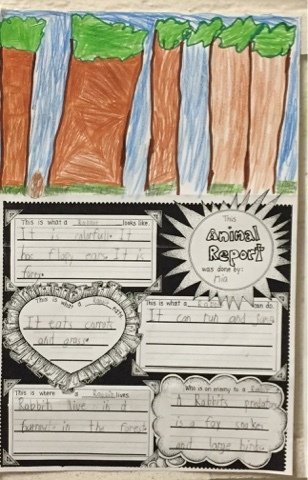 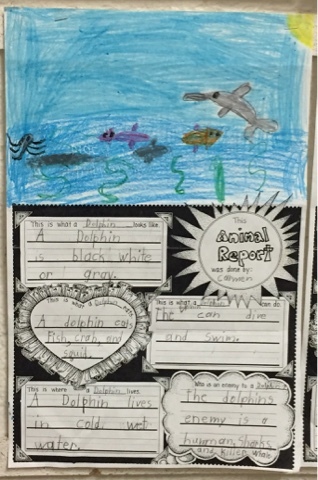 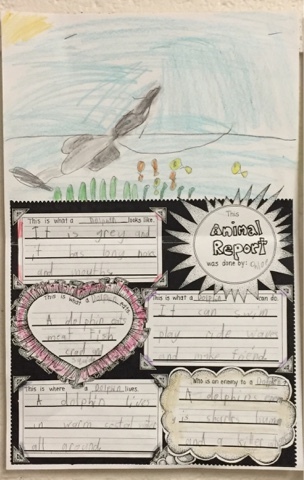 For this project, students gathered information for their animal report using iPads and books in my classroom library. 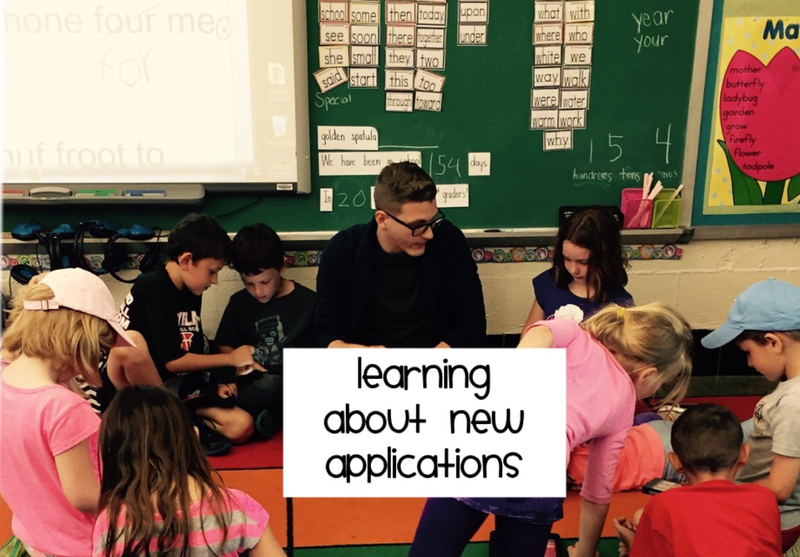 Mr. Eder (volunteer) worked with students in small groups to introduce several kid-friendly apps for their research. 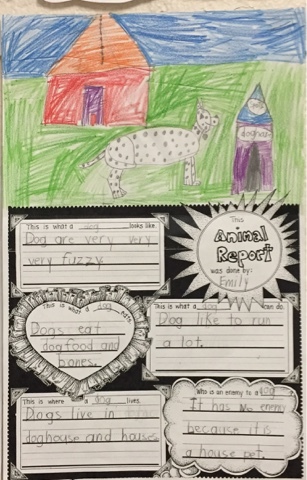 During the next few sessions, students used this graphic organizer to record "dash facts", a name introduced by Mr. Eder for the skill of note-taking. 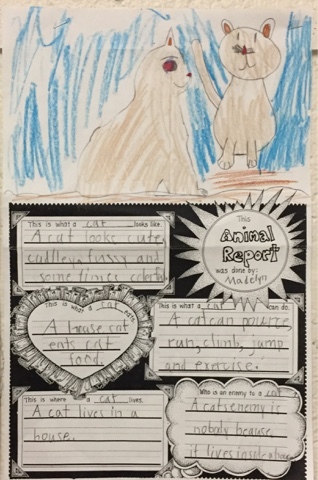 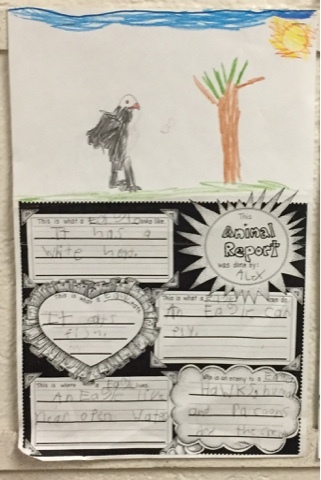 In first grade, we work so hard all year on writing in complete sentences so the process of recording one or two words or short phrases for each category was a little challenging for many students. 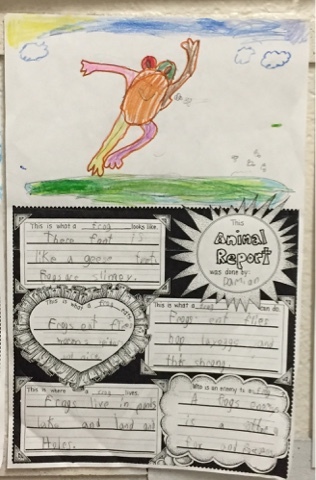 For their final projects, students added amazing drawings to their reports which we proudly displayed on our hallway bulletin board.